Assists with mental clarity, opens the mind, bringing insight and stimulating taking action, helping one to make decisions with discernment and understanding, unclouded by emotions. Helps to release fear and anxiety, bringing balance to one's life. Anchors in Divine Light energies while keeping one grounded. Enhances creativity and aids in kundalini awakening. Protection stone that has been used to prevent curses and ill~wishing. 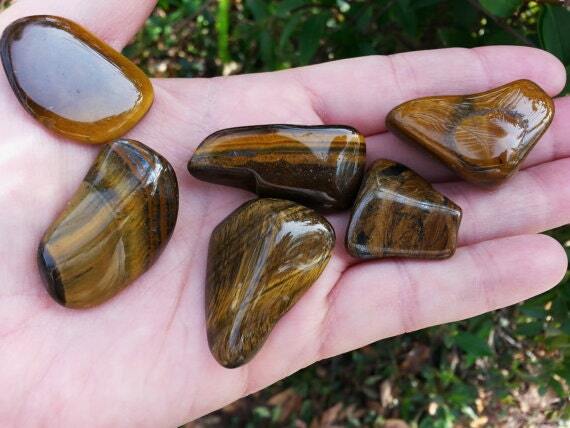 Also attracts abundance and prosperity. 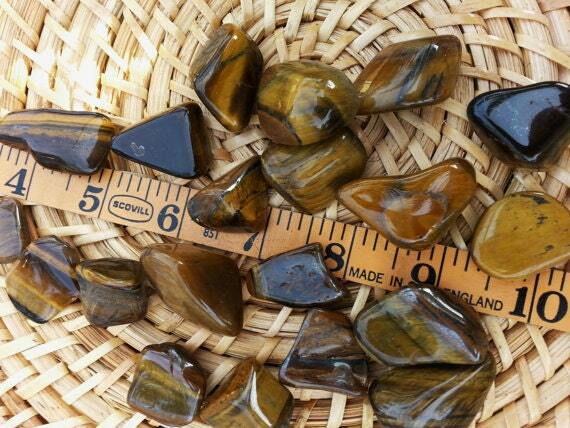 The picture shown is of the actual stones I use. Yes, these are pocket size, perfect to carry, wrap, place in grids or any place else you wish to. 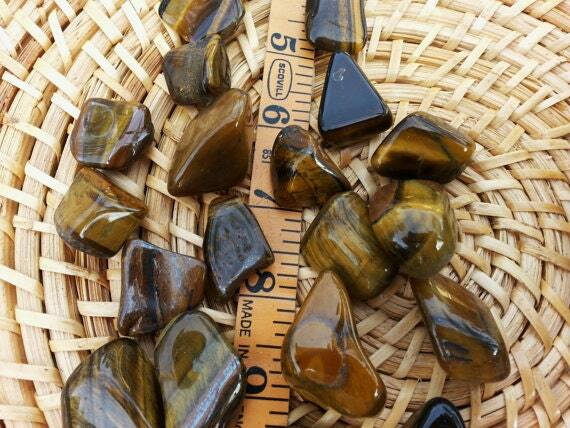 Please keep in mind that no 2 stones are exactly alike, so color, size and shape may vary. This is a decent representation of the current stones I have in stock. I do not doctor the colors in the photos, as I feel that is misrepresentation, however colors do seem to look different on different screens, i.e. cell phone vs computer. A nice stone but, a bit on the small size. 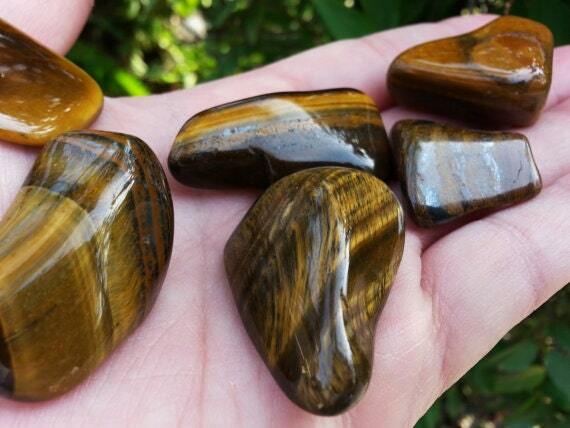 With that being said I like this stone because I know Kili chose it just for me. 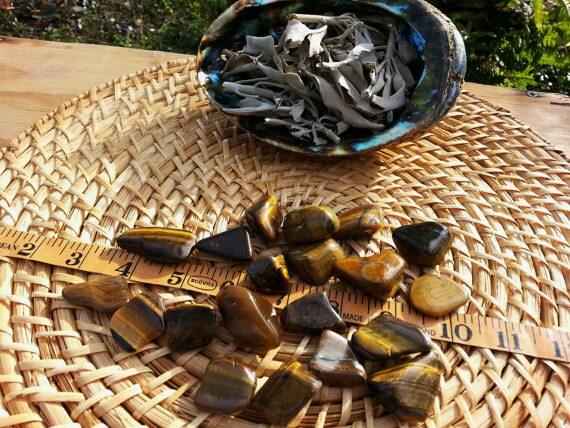 I'm looking forward to working with this Tiger's Eye to help with dispelling depression and an eye disease. Thank you Kili.